As I mentioned in my last post, there are currently two exhibitions being held at the ICN gallery in Shoreditch, and I paid them a quick visit after work tonight. 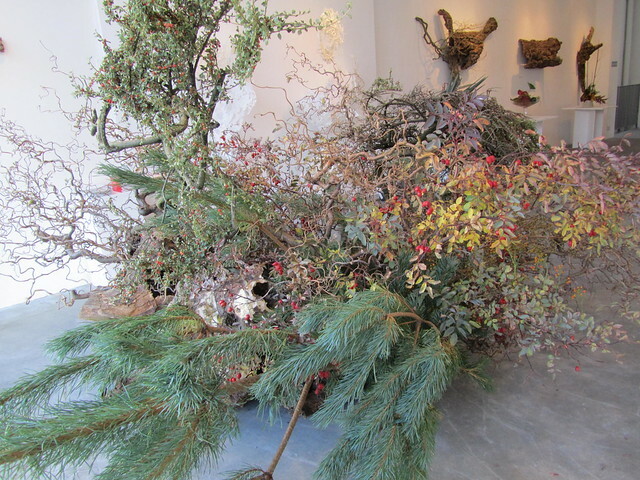 The larger (and, for me, more interesting) of the two exhibitions is “LIFE” by Eikou Sumura – an exhibition of ikebana. “There are many things we can learn from plants. 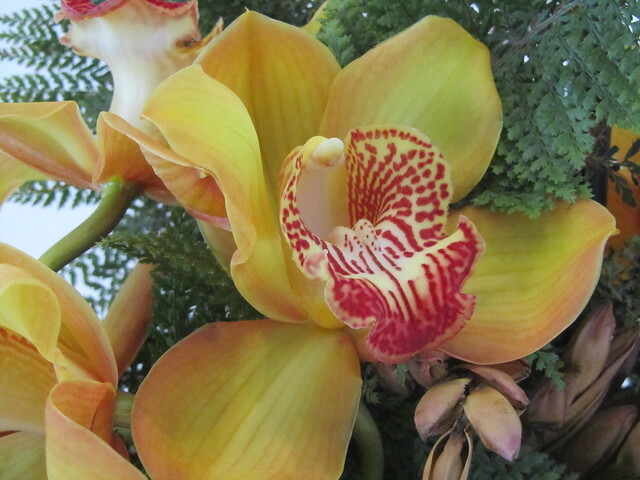 When we look at plants, we can feel life’s energy from deep within the earth. 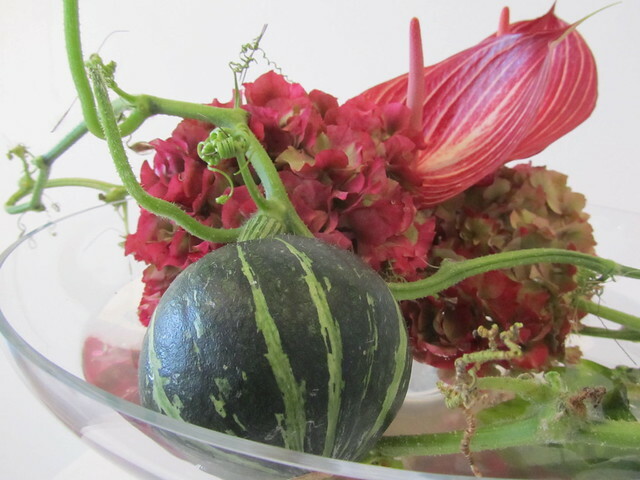 Plants bud, grow, sprout flowers, and eventually fall back to the soil and earth. 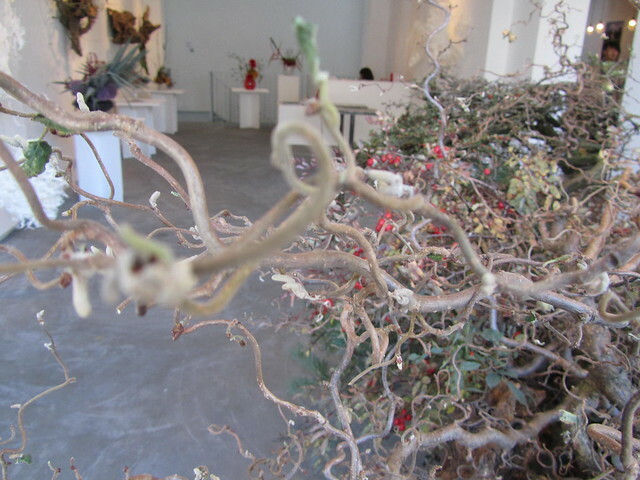 Walking into the gallery, it’s like a magical forest has suddenly taken root and made itself at home. 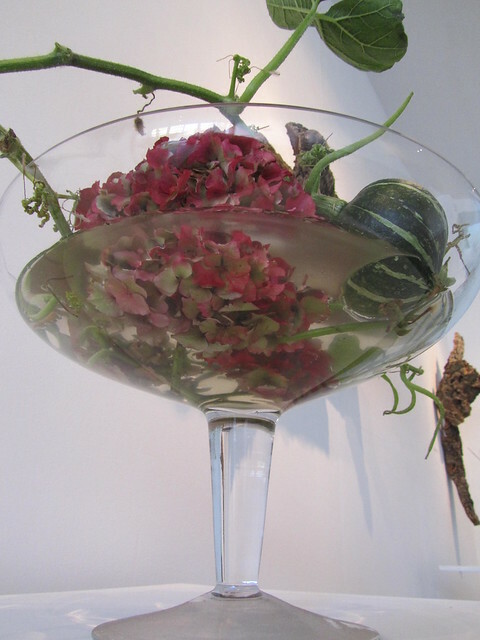 There are plants everywhere, some neatly arranged in vases, others more sprawling, yet still somehow contained. Stepping downstairs to the basement, I thought for a moment that the area was out-of-bounds, because the lights were off and the room only dimly lit. But the exhibition continued, and it appeared to be autumn. 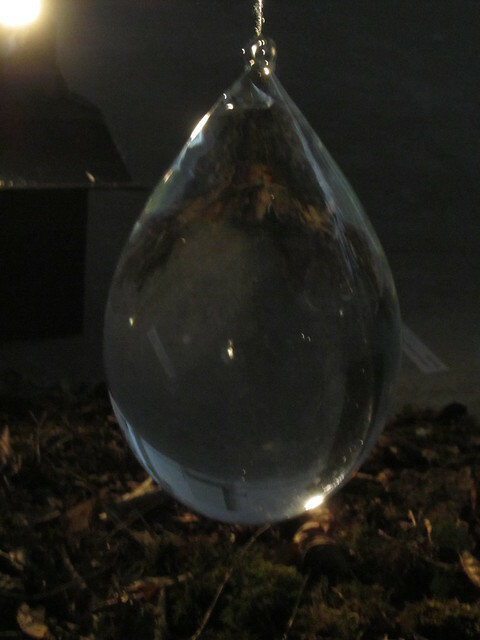 In the corner of the dimly lit room was a single light and a beautiful drop, suspended from the ceiling. 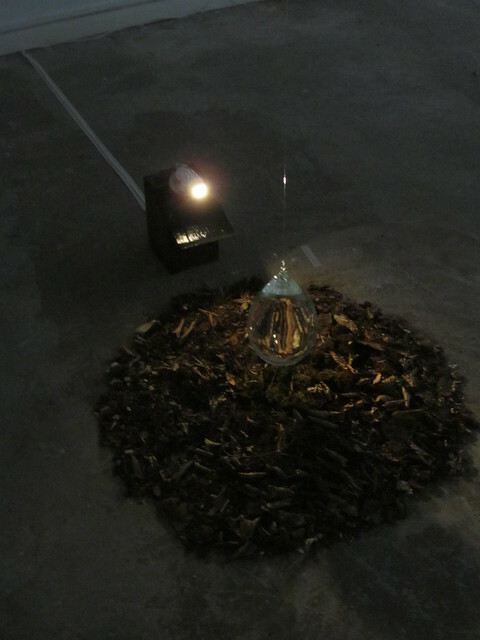 “The main component of this exhibition is “Fallen Leaves”. 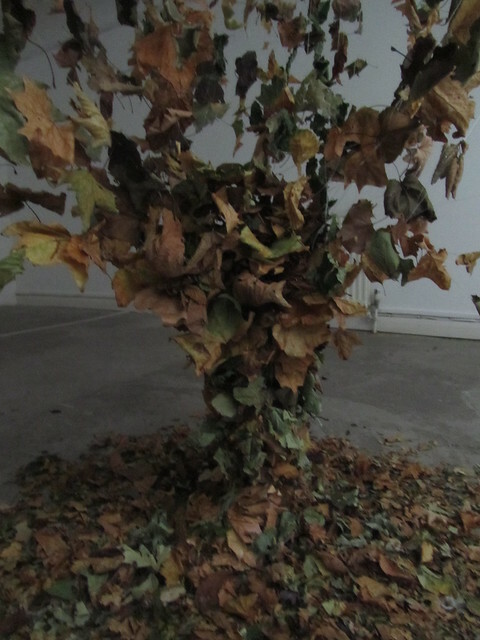 Fallen leaves represent a process where plants return to the earth. …it looked like a cocktail. She smiled, and I don’t know if she understood. I secretly nicknamed the piece “kabocha cocktail”. 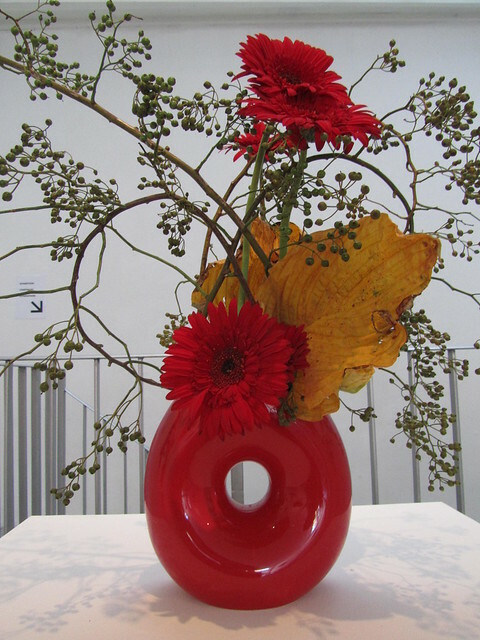 Eikou Sumura is a practitioner of ikebana under the Sogetsu-ryu (Sogetsu School of Ikebana) which brought the Japanese traditional culture of ikebana to the level of art. Sogetsu-ryu is known to be one of the three main Japanese schools of flower arrangement, and is the most popular school in Europe. 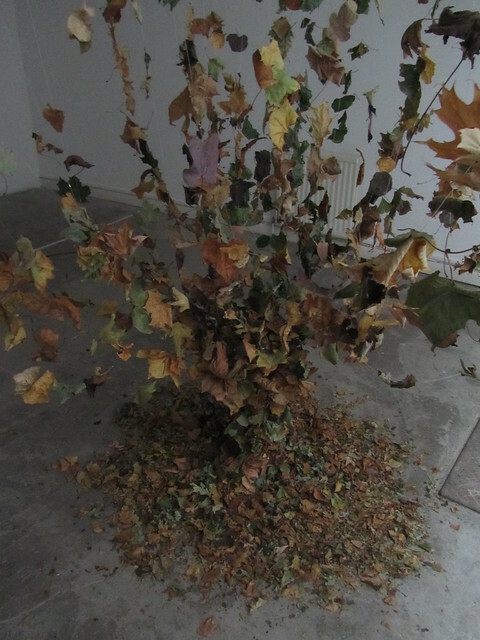 This is Eikou Sumura’s first solo exhibition in the UK, and it runs until Sunday. For more information about the artist, please visit: sumuraeikou.com.